The Quadrum office park is the first and so far the only A-category airport office development on the Budapest market. The Quadrum building no. 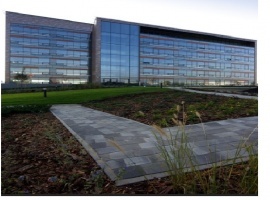 1 was the first office building qualified as ’very good’ by BREEAM*. 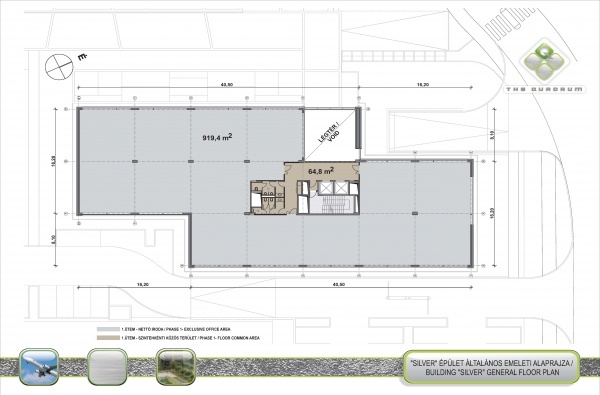 The project covers 4 buildings with a total of 22.000 sq m area and with green parks, fountains and promenades. 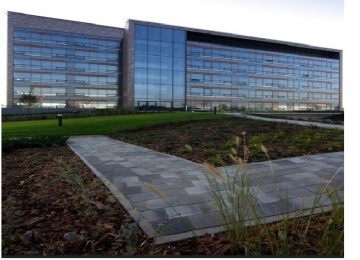 The first building has already been handed over with 5.900 sq m leasable office space and with some 600 parking places (underground and surface car parks). Further phases will be suitable for BTS option according to tenant demands. The Quadrum office complex is not only characterized by environmentally conscious solutions but also by effective utilisation, flexible partitioning, bright office spaces, where high-standard technical fit-out and modern architectural features combine. Thanks to the developer’s flexibility, it is possible to fulfil custom-built tenant requirements even as BTS options in the next phases. Several services, restaurants, bank offices and shops provide full-scale convenience for tenants in the nearby Market Central Ferihegy.